A site’s pest control program should monitor pests to ensure that they are kept safely and effectively under control. 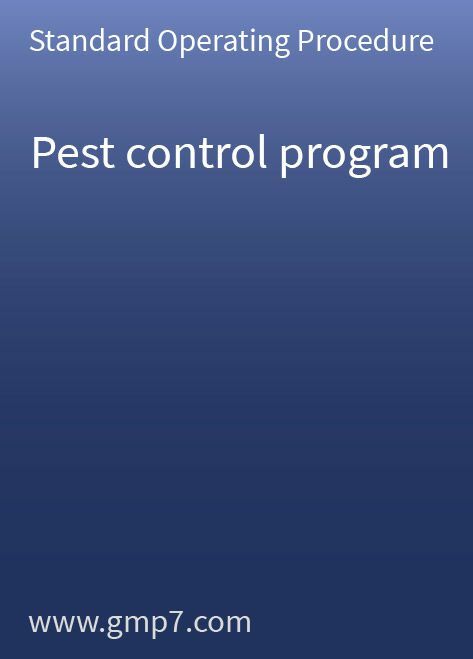 This Standard Operating Procedure (SOP) was written to define the procedures and responsibilities of a site’s pest control program, which include planning and implementation, as well as monitoring the efficiency of the program by carrying out regular reviews of collected pest data. The pest control program encompasses all manufacturing, storage and distribution areas. This Standard Operating Procedure (SOP) can be applied to all pharmaceutical GMP-regulated operations such as drug product, active pharmaceutical ingredient, excipient, vaccine and device manufacturing. The 6-page SOP includes an appendix indicating the locations of pest traps on a site map.